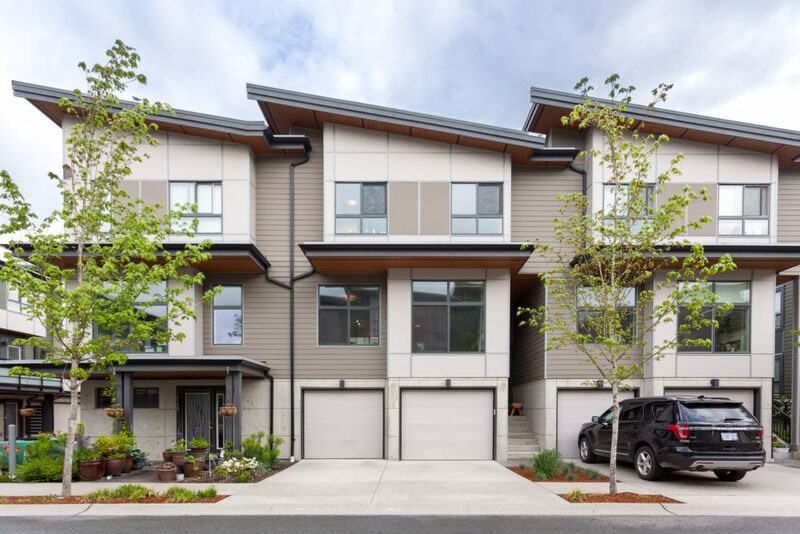 I am very excited to have just sold 1156 Natures Gate, a modern and like-new 3 bedroom townhome in beautiful Squamish, B.C. Natures Gate forms part of the popular Eaglewind Townhome Community in Downtown Squamish. Are you looking for a 3 bedroom 3 bath family friendly townhome in a convenient location close to schools, trails, the local dog park and Downtown amenities? THIS IS THE ONE! On the top level, you’ll find three bedrooms and two full bathrooms. The master bedroom offers a large walk in closet, private balcony with mountain views and a five piece spa like en-suite bathroom with double sink and separate bathtub / shower. The main level offers a modern open concept plan, powder room for guests, large South facing windows, gas fireplace and a private yard ideal for kids and pets. Downstairs, you’ll find side by side parking for two cars and storage workshop space.